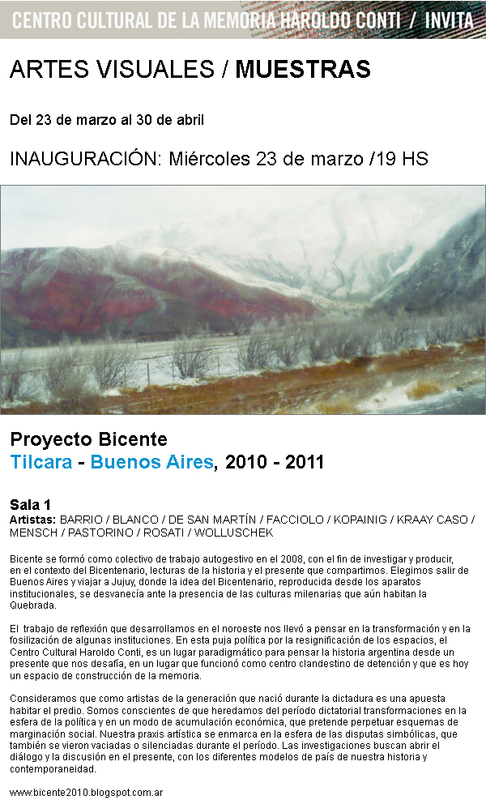 Estamos contentos de invitarlos a la presentación de nuestra publicación en Buenos Aires. Nos encantaría verlos ahí! 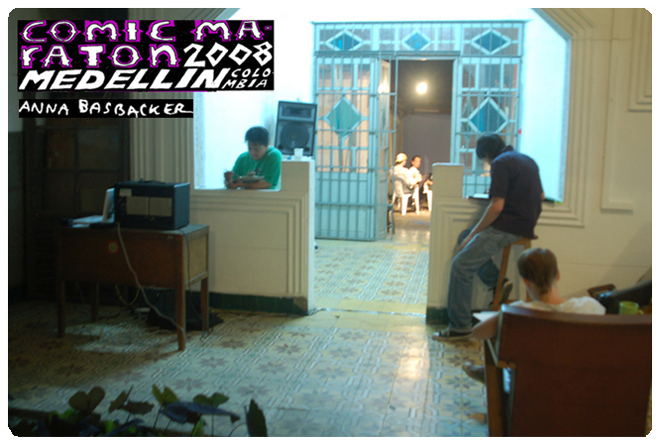 Palatti es una red de artistas de diferentes países, que auto-organiza residencias y muestras desde hace 10 años. Este proyecto editorial surgió como paso siguiente a la residencia que realizamos durante 5 meses en Appenzell, un cantón campesino de Suiza. 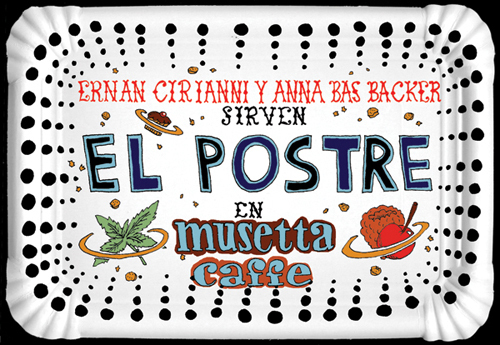 La publicación está distribuida por Motto Books y por Moving Multiples/Palatti y ya se presentó en Suiza, Berlín, Amsterdam y Montevideo. 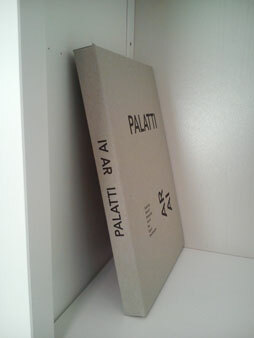 The artist network Palatti proudly presents a new publication - a follow-up project to the 2013 residency at the Birli. From May-October Palatti was working in East Switzerland at the house of Dr. René und Renia Schlesinger Foundation in Wald, Appenzell in the framework of the 500 years anniversary festivities and the culture project Ledi - The Traveling Stage. 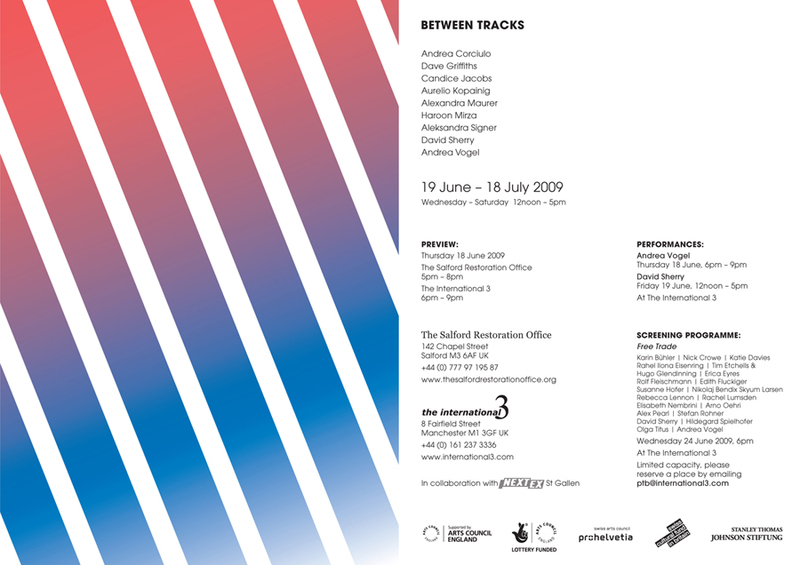 The artists took the experience and their individual project as starting points for the artist booklets that have been developed for this publication. 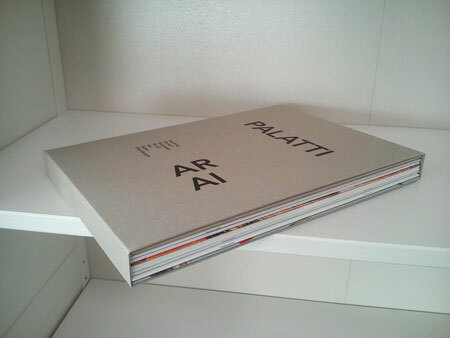 Publisher Moving Multiples now has a webstore online in which the new Palatti AR AI and older Palatti publications can be found. Paul Steenberghe (NL) and Nicole Schmid (CH). Final discussion. Coffee & cake with Julia Mensch and Theres Inauen. Lunch table with Palatti. Get to know the artists and ask questions. 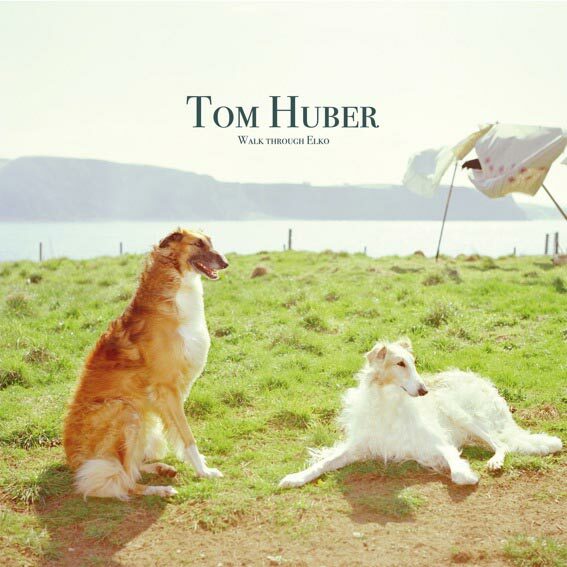 19h concert of the Swiss musician Tom Huber. 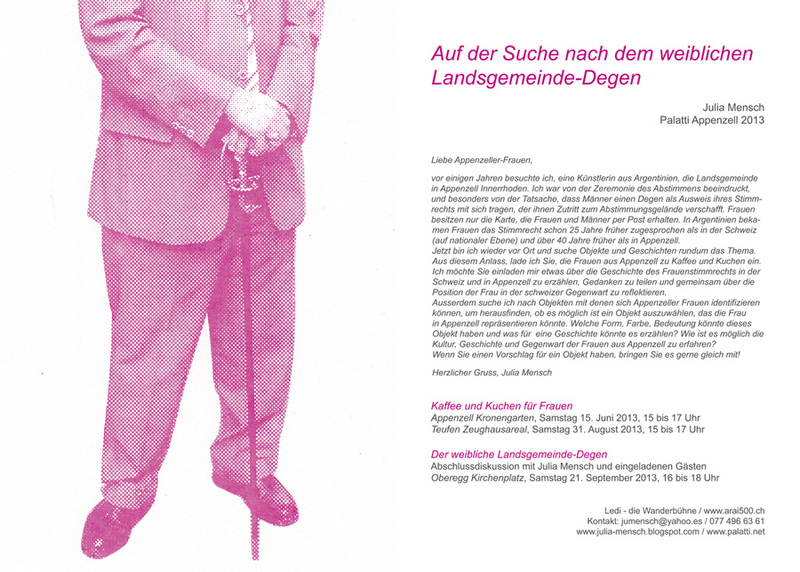 Looking for the female "Landsgemeinde"-epee. Coffee and cake for women. 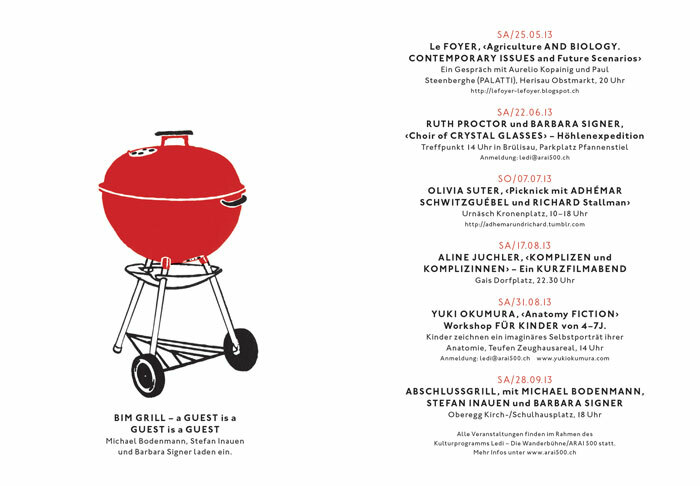 Saturday, June 15, from 15-17 hs, Ledi Appenzell. Start of a new Palatti project in Switzerland. 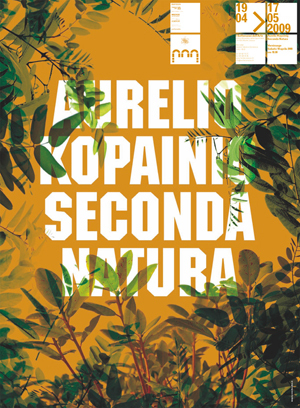 In the occasion of the AR°AI 500 celebrations (anniversary of the cantons Appenzell Ausserrhoden and Appenzell Innerrhoden joining the national Confederation in 1513), Palatti has been invited to participate and contribute to the cultural events that will take place. 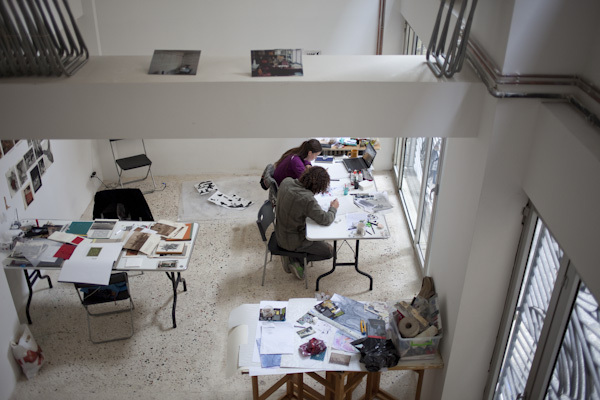 From May to October the Palatti artists will stay and work at the house of the Schlesinger Foundation in Birli/Wald. 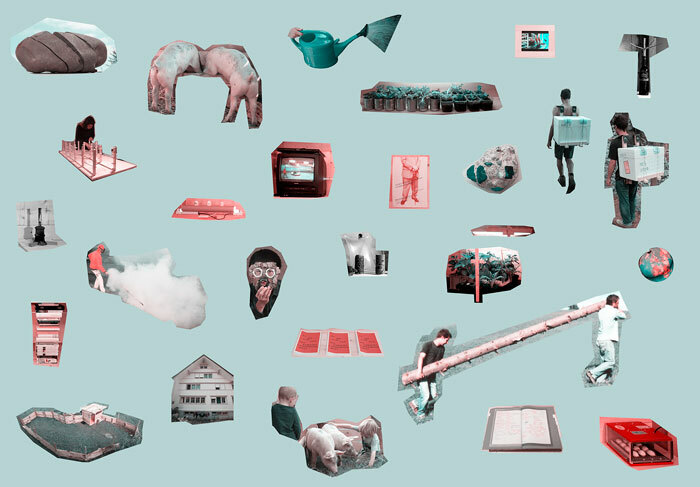 Participating artists: Mirya Gerardu (DE/NL), Mako Ishizuka (JP), Aurelio Kopainig (CH), Julia Mensch (AR), Nicolas Novali (AR), Betty Ras (NL) and Paul Steenberghe (NL). 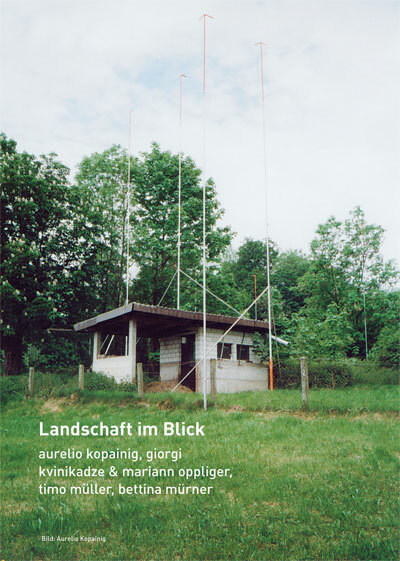 Landschaft im Blick, 2.-30. September 2012. Benzeholz, Raum für zeitgenössische Kunst, Meggen. 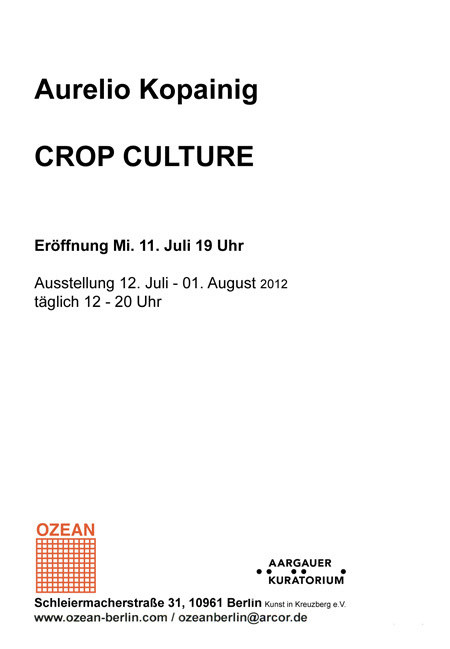 Aurelio Kopainig, CROP CULTURE, at Ozean, Schleiermacherstraße 31, 10961 Berlin (until August 1st, 2012). Opening hours: THU-FRI 4pm-8pm, SAT-SUN 2pm-6pm and by agreement. 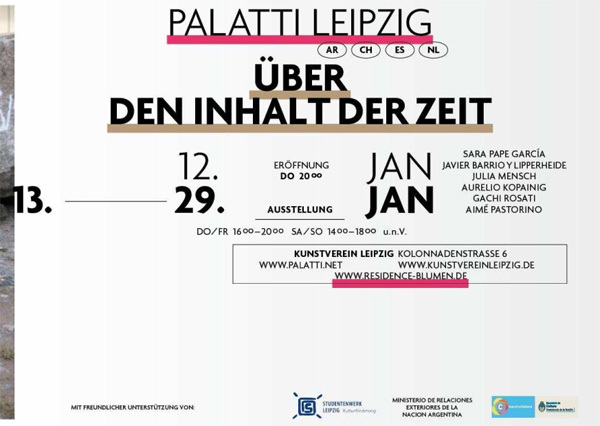 In the exhibition ON THE CONTENT OF TIME, the six Palatti-artists present their new projects, which have been developed during their time of residency in Leipzig. 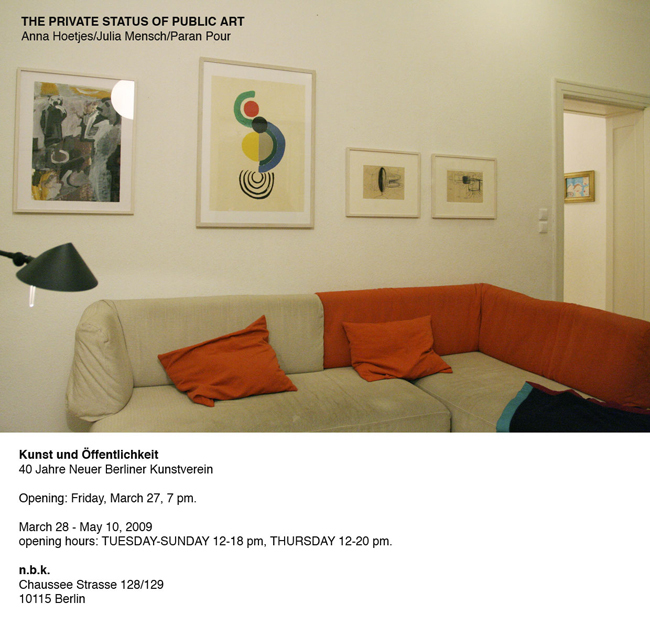 With the presentation at Kunstverein, the members of the group will end their stay at the artist residency BLUMEN which has been lasting three months. 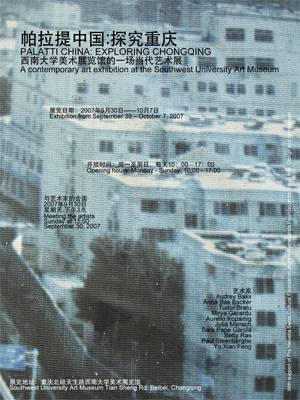 Painting and video, as well as installation and sculpture convey the different artistic positions which derive from a common field of interest: the relation to the city and its cultural, historical and social phenomena is the specific starting point for the historically and reflexively coined works. 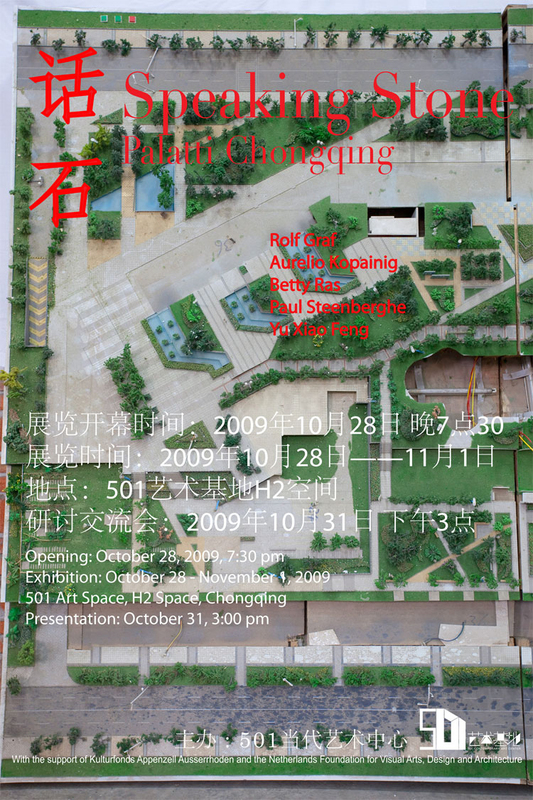 An exhibition develops, in which common knowledge feedbacks personal biographies. Thus it enables an individual (and new) experience. The artists’ explicit outsider view –also on suppressed history and stories, especially from not so long ago- make the spectator contemplate on present and future and lets time light up in all its dimensions and meanings. 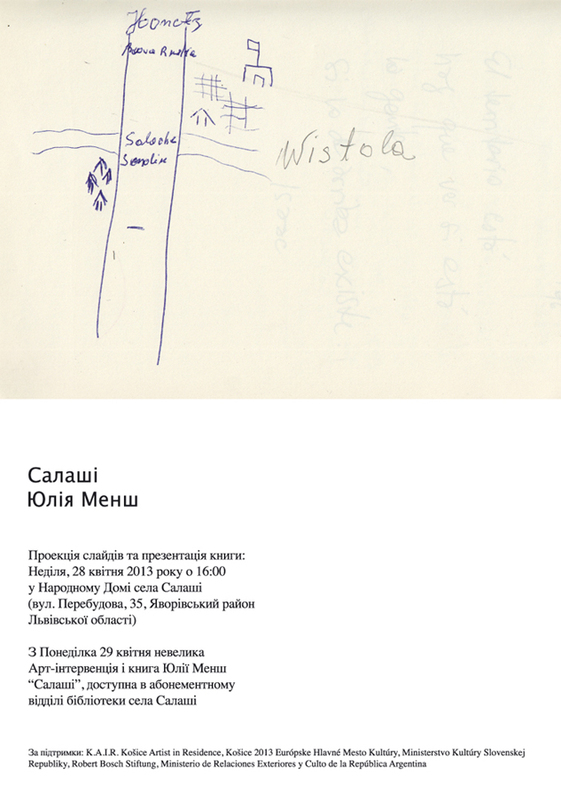 Thus, Gachi Rosati questions the possibilities of artistic self-conception under the art market’s conditions, while Julia Mensch pursues subjectively experienced history of residents and participants of the former Iskra-museum. Aimé Pastorino turns old utilized boxes of the GDR into wooden sculptures and thus reconstructs different influences of design and makes it usable for contemporary patterns. In a loose adaption, Javier Barrio y Lipperheide interlocks Robert Louis Stevenson’s Strange Case of Dr. Jekyll and Mr. Hyde with his research on the scientist and psychologist Wilhelm Wundt from Leipzig and with his own familiy’s past, which has its roots in North Rhine-Westphalia. 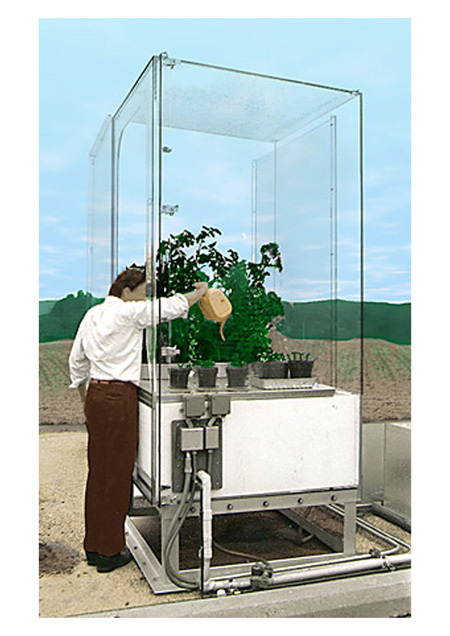 Aurelio Kopainig’s Crop Culture raises issues on the relation between industrial farming, biotechnology, genetic engineering and global expansion of the agribusiness in contrast to familiar farming. 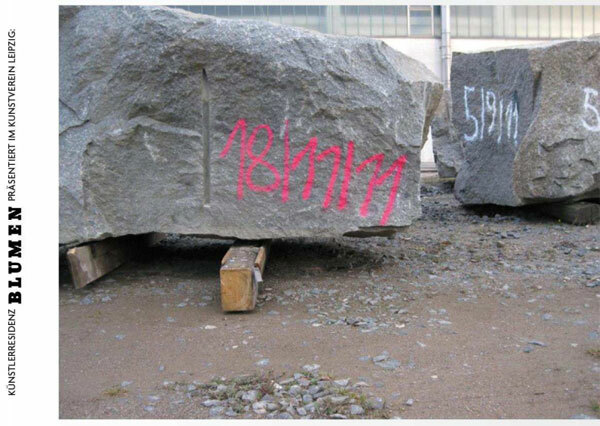 On the contrary, Sara Pape García investigates the composition of stone out of which monuments in Leipzig –such as the Völkerschlachtdenkmal- are built and thus approaches processes and changes of the world that surrounds us. 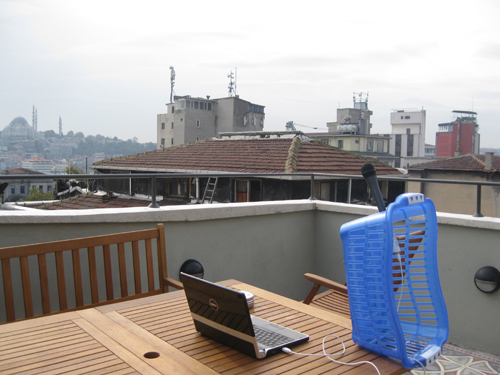 October 2010: Palatti lives and works in art residenciy Caravansarai and joins the Dutch Kunstvlaai participation of the TUYAP Art Fair in Istanbul. Museo Arqueológico Dr. Eduardo Casanova, 18 hs. Belgrano 445. 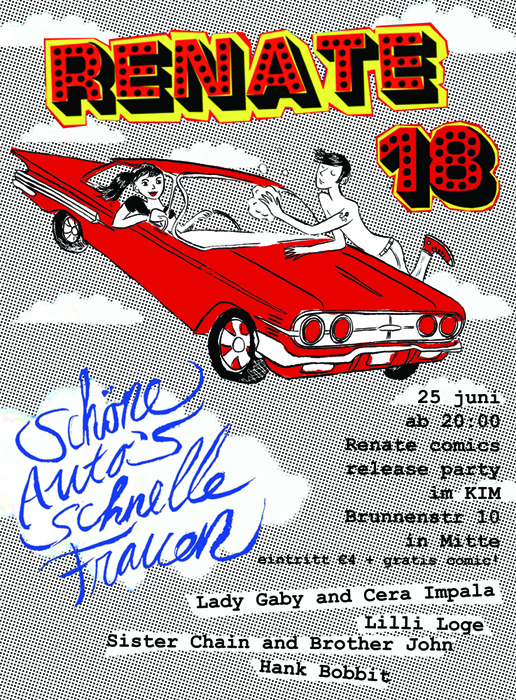 On July 30, Anna Bas Backer will perform a second episode of the Buenos Aires performance in Neukölln, Berlin. 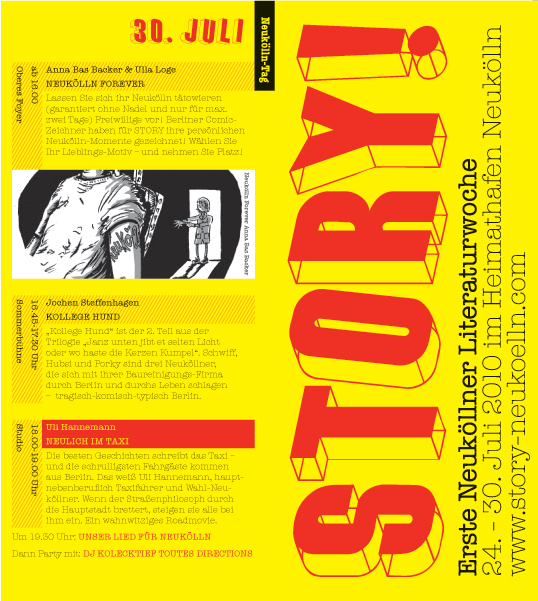 During the 'Story' literature week in Heimathafen Neukölln, she and her assistant U. Loge will perform temporary Neukölln-tattoos designed by local comic artists on visitors. 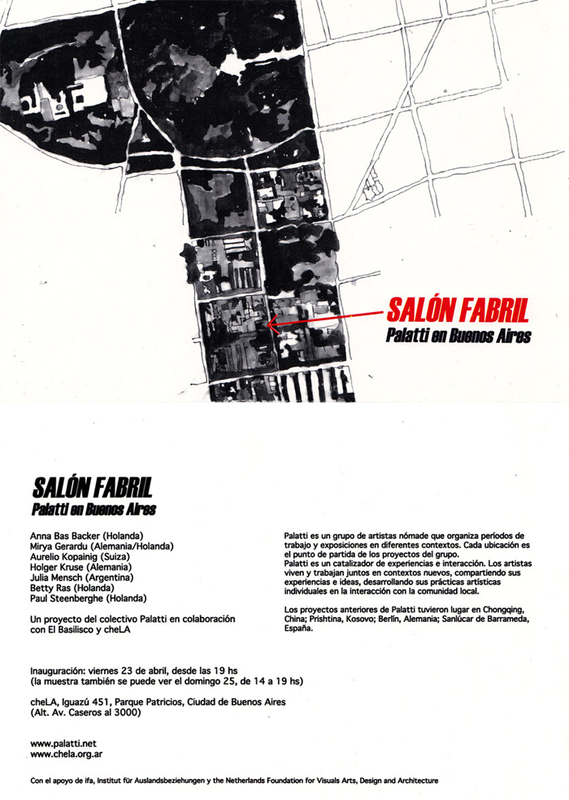 Karl-Marx Straße 141 at 16:00.
in collaboration with El Basilisco and CheLA (Centro Hipermediático Experimental Latinoamericano). 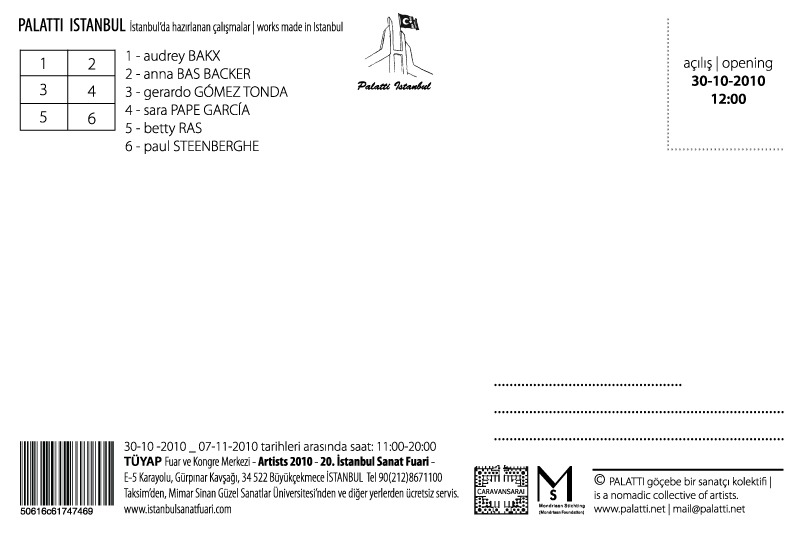 Participating artists: Anna Bas Backer, Mirya Gerardu, Aurelio Kopainig, Holger Kruse, Julia Mensch, Betty Ras, Paul Steenberghe. Paul Steenberghe and Yu Xiao Feng. 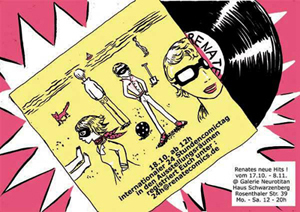 RENATE #18 "Schöne Autos, schnelle Frauen"
Anna Bas Backer, screening in Kottishop Berlin of video clip to the 24-hour comic drawing marathon 'Si esto es un artista', that took place in 2008 in project space 'Taller 7' in Medellin, Colombia. Julia Mensch, " RAFAEL'S TRAVEL" at *blumen* künstlerresidenz, Leipzig. 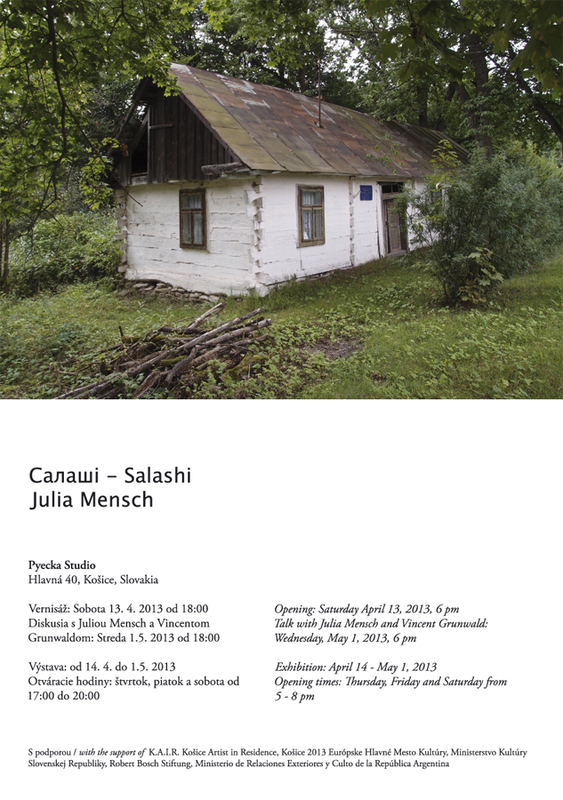 Julia Mensch, " Familienalbum" at *blumen* künstlerresidenz, Leipzig. 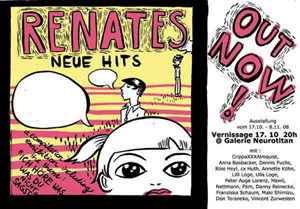 Anna Bas Backer, "Renates neue hits" at Neurotitan, Berlin. 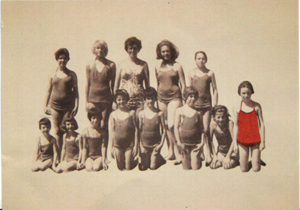 Aurelio Kopainig, "Spuren.Wachsen" at Substitut, Berlin. Opening Sat. 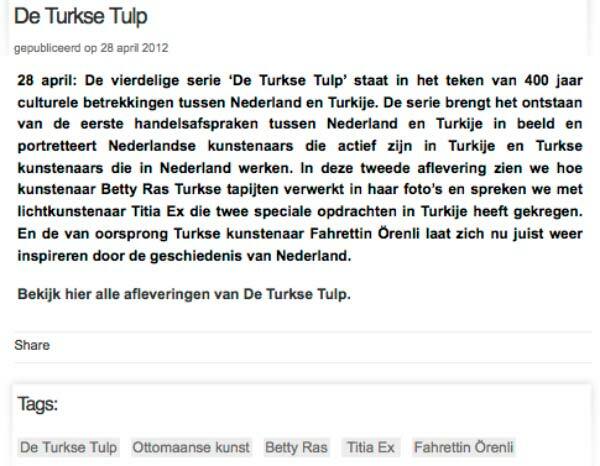 May 10 at 16:00 hrs.